← Just a little Backroad…. Yesterday afternoon I had time to kill so I decided to make decor for my front door. 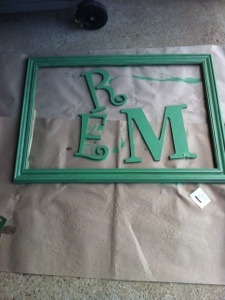 First I painted the letters and frame green. It looked a little plain to me, so I dug into my paint stash and found pink, white, and blue paint. I used a skinny paint brush to paint white on the frame. I added pink and white lines with blue dots on the letters. 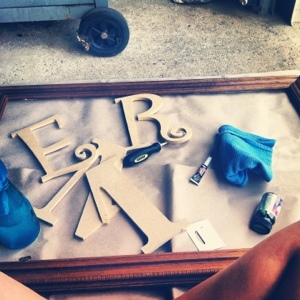 After the paint was dry, I used clear fishing line to tie the letters together and attach to the frame. It still needed something extra, so I used colored burlap and burlap flowers (both purchased from Hobby Lobby) to add some depth. The door hook was also purchased at Hobby Lobby – I just love that place! 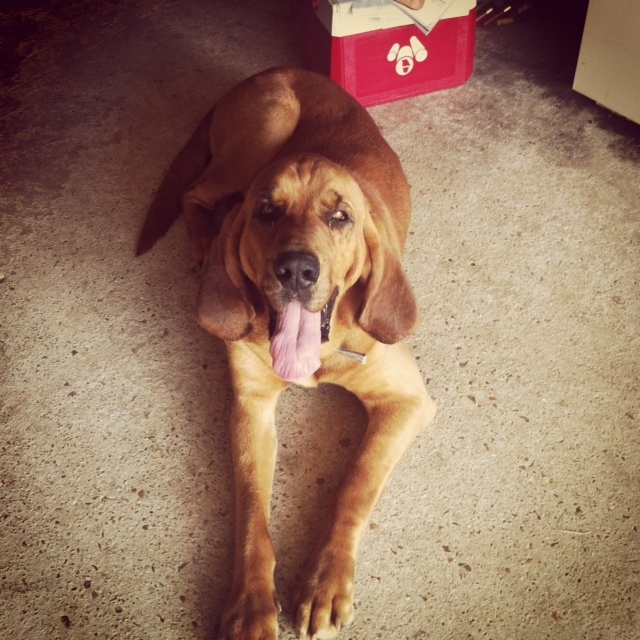 Oak keeping me company in the garage while I paint! Ain’t he cute?? Finished door hanger for the front door! All together this project took me a couple of hours, including time for the paint to dry. 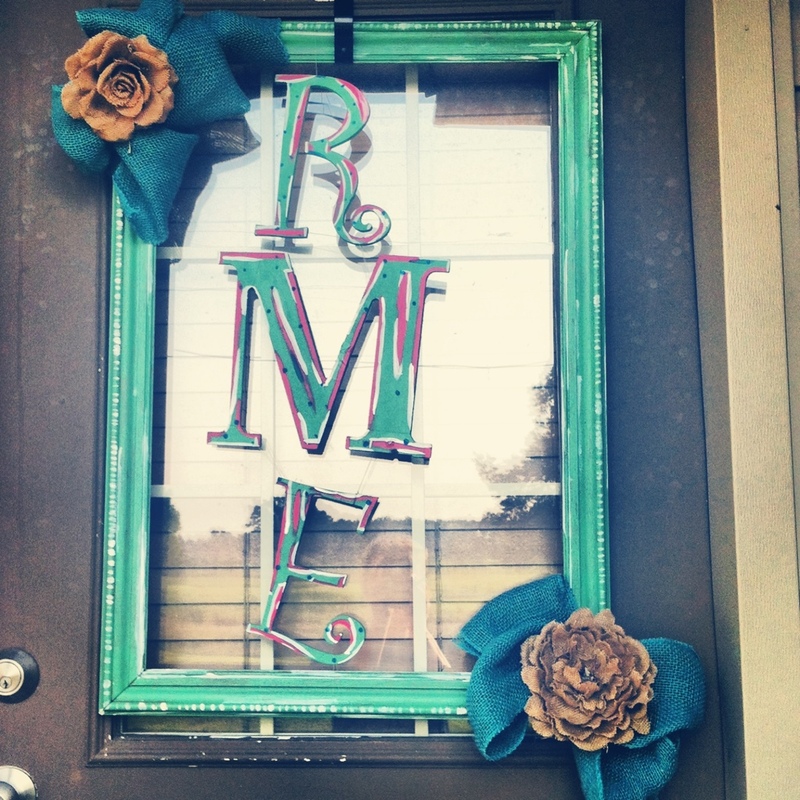 This entry was posted in Home Makeover - Montgomery Edition and tagged afternoon, craft, crafts, DIY, door hanger, duck tape, fishing line, Green, Hobby Lobby, hot glue, paint, Pinterest. Bookmark the permalink.